Let the empty space on your wall speak the language you want it to. 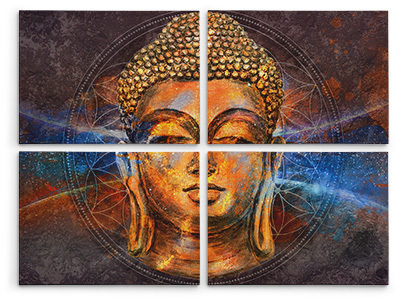 Now share your love and thoughts creatively with split canvas prints. Spread a single picture over three canvases to splatter the eternal essence of craftsmanship and creativity using your most loved pictures. Do you have a portrait which is taller in comparison to its width? 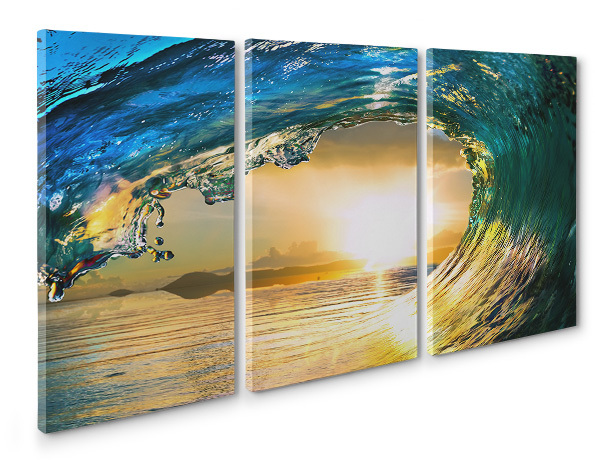 Well, if the answer is yes, 3-panel canvas prints are solely for you. 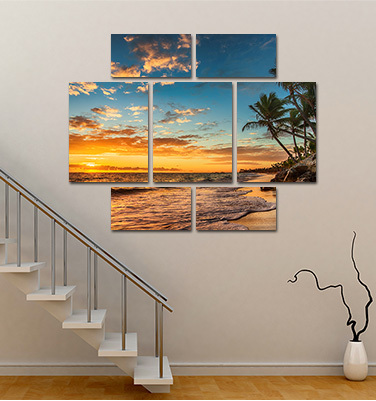 Don't follow the same old traditional interior designing methods and switch to the tending quadriptych canvas prints. Our diptych canvas prints can be well introduced by calling them ‘two bodies and one expression’. Express your love with this unmatched artwork. Fill the empty space on your wall with the love and unbiased emotions you have in your heart. Don't confine your love and creativity due to lack of customizing options. At CanvasChamp we have built a distinct design tool which allows you to surf through our range of customizing options without any additional efforts. Having said this, with CanvasChamp you can always have best customizing options. Sizes: small 8"x8" to Larger 34"x20". HP certified printers and latex inks used to craft your canvas prints. Tightly wrapped around thick 1.5" gallery wrap canvas. Can be hung up straight away when it arrives. What are diptych canvas prints? Diptych canvas prints can be well explained in a single line. Our experts do this by calling them ‘two bodies one soul’. Yes, you read that right. 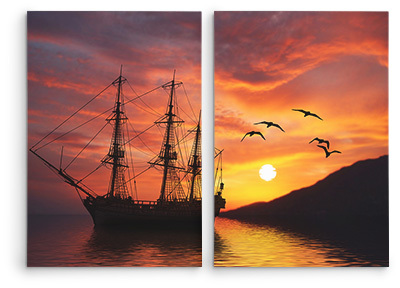 The Diptych canvas prints are basically to canvases portraying the same picture over them. They work impeccably especially for your wedding photographs or candid clicks expressing your love for each other. Three-panel canvas prints take the preceding legacy a step ahead and are often used to cover the large empty space on the wall. They work flawlessly with any kind of picture you prefer and can be customized in every possible manner. Each of the canvas panel included is handcrafted by expert artisans to serve you with best quality three-panel canvas prints. We understand your love for art and its various forms. At CanvasChamp we firmly believe that art can never be expressed flawlessly if confined. Having said this, we leave no stone unturned to serve you with best customizing options for 4-panel canvas prints. Also, you can scroll and choose from our range of customizing options listed in our dedicated design tool. 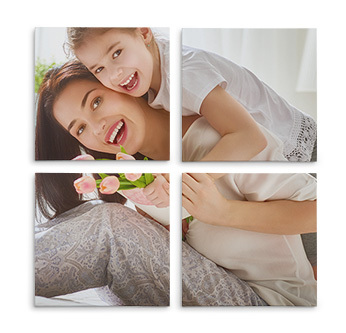 Split canvas prints crafted at CanvasChamp give you ample options to decorate your home in most creative manner and preserve your special moments forever. 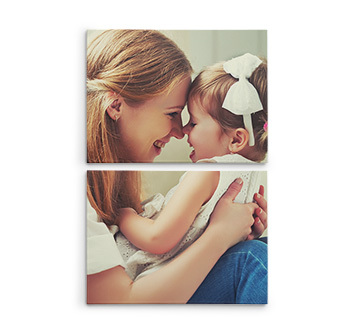 With split canvas prints from CanvasChamp, you can flawlessly express your unbiased expressions creatively by printing your most loved moments on canvas. You can upload your photos from your desktop/laptop, from your social media account or use your smartphone. The dedicated design tool lets you scroll through our range of customizing options with utmost ease. Also, you can proof check your digital print before placing a final order with us and in case you have any query, please feel free to speak to our expert designers who’ll undoubtedly guide you with the best answers to all your queries. Tych is a Greek word which means panels or fold. It is a form of art which build a range of astonishing prints by spreading your picture over a defined number of canvases. The art form is looked ahead as a growing trend due to the contemporary look it gives. How to mount split canvas prints on the wall? Now, this is a question that needs to be answered. Ok, so listen carefully, ‘it is not any rocket science’. You just need to check that the wall has sufficient space on it to house the massive print. The print reaches your doorstep with all the mounting accessories attached to it. You just need to hang it on the wall and check if it fits the arena. 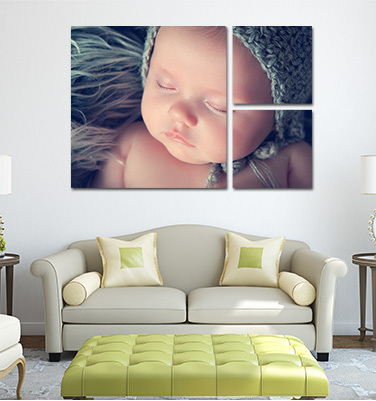 We adore printing canvases with your photos. 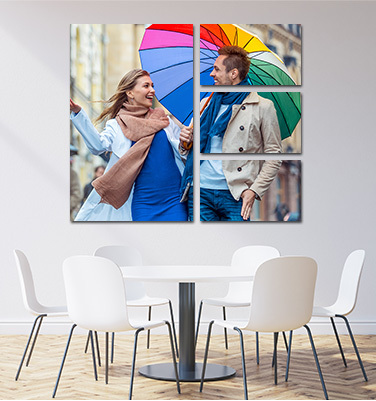 The moment you share your pictures on split canvas prints your prints are deliberately hand stretched by expert artisans who review each piece to guarantee that your print is immaculate before they're delivered. Each split panel canvas print is covered with scratch-safe UV overlay, to shield it from blurring. Split canvases are a dazzling choice on the off chance that you need to share your photographs remarkably. The split canvas prints at CanvasChamp are additionally an awesome method to get innovative interior for your home of office, by giving your outlines a contemporary stage. Try different things with occasion, scene or cityscape photography over triptych and diptych canvases to give your picture the dream of profundity and a tremendous space. What is split canvas printing and why is it so popular? 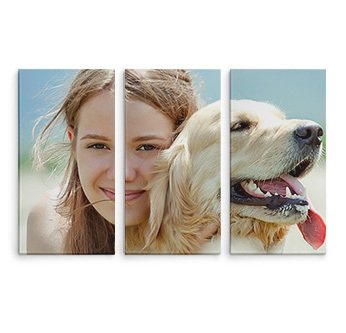 Printing pictures on canvas just implies that we take your computerized photograph and print it straightforwardly onto split canvas panels. Except for an extraordinary covering for our inks, the canvas we print your photographs on is a similar kind that being used by a craftsman for an oil painting. Having said this, your photograph on canvas will actually be a gem. On account of print quality enhancing fundamentally, and the nature of advanced photographs, the ubiquity of canvas printing has detonated as of late. 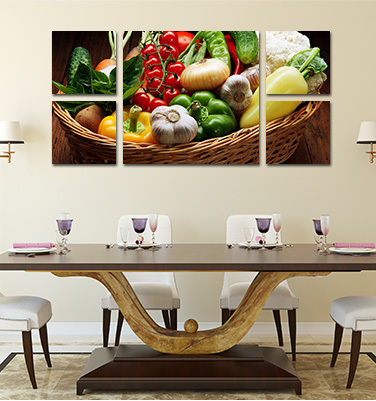 What is a multi panel split canvas art? 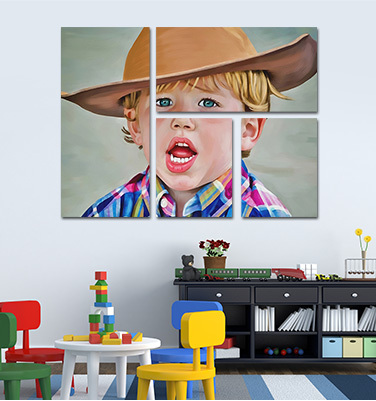 We take your photograph and gap it into two, three, or more as per the selection of the template to separate canvases that you hang together as a group on the divider. 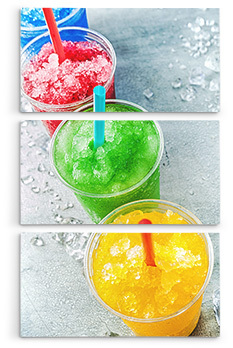 When you transfer your picture and product it, we'll demonstrate to you a see of how your bunch will look. You can have mirror edge or custom color edge. In any case, the arrangement of your picture will stay on the substance of the canvases, nothing will be lost on the edges. Why should I choose CanvasChamp to print my photo on canvas? There are just a few organizations that print photographs on canvas legitimately and have sufficient expertise. CanvasChamp is one of them. "Alternate folks" simply don't do things the way they should be finished. Investigate the examination beneath to see the distinction between how we get things done and how different organizations cut corners with their canvas printing. High quality poly cotton canvas to ensure your prints stay forever. The canvas prints aren’t just gorgeous but also environment friendly. Clear shield laminate ensures that your canvas print stays for centuries. At Canvas Champ every canvas print is handcrafted by expert artisans. Well, this helps us give personalized detailing to the orders we receive. Use canvas that is manufactured with harsh chemical brightening agents. Do not use protection, so the canvas is exposed to the elements. Use liquid laminates which initially look good, but crack, fade, and turn yellow over time. Make frames from plywood or by using cheap frame kits that can bow and warp over time. Print photos on canvas using solvent-based printers, whose chemical inks produce inferior image quality and are guaranteed to fade in less than 10 years. Use canvas kits with glue and tape. Incorrectly use stretching machines which lead to rippled and uneven stretching. 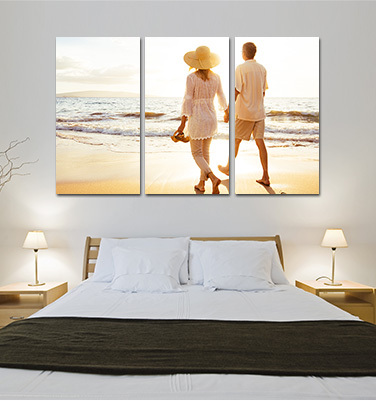 Multi-panel Canvas wall art is a unique attractive way to liven up your wall with best memories.